Chief Executive Officer of Starzs Investment Company Limited and President of Ship Owners Association Nigeria (SOAN), Engr. Greg Ogbeifun has described the recent delivery of floating dockyard by the Nigerian Maritime Administration and Safety Agency (NIMASA) as a clear misplacement of priority in the industry. In an interview, he said diverting shippers’ contributory fund; the Cabotage Vessel Financing Fund (CVFF) which is statutorily domiciled in the agency is not meant for the buoying floating dockyard, but to support indigenous shipper to grow in capacity. In an interview, Ogbeifun who recently commissioned his arrived ship in Onne said “I read in the pages of newspaper that NIMASA is bringing a floating dock, and I ask myself is NIMASA going into ship building or repairs themselves now? 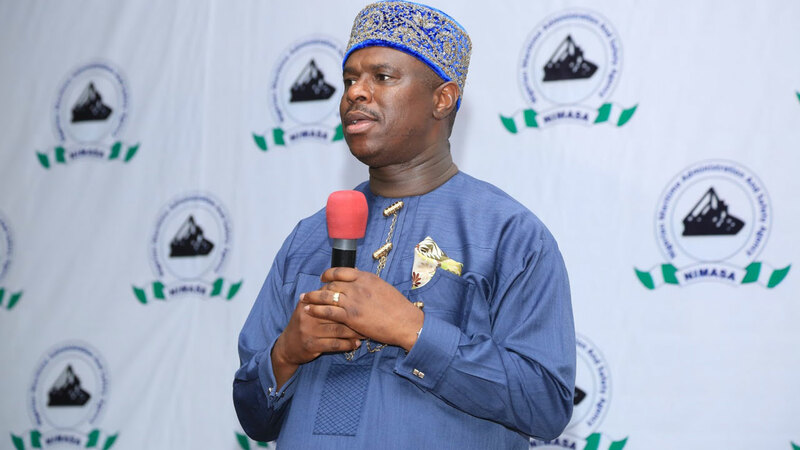 He queried if NIMASA Act stipulates that they can establish ship yards and argued whether the agency has the expertise to run shipyards. According to him, “Somebody needs to tell us what they plan to do. May be instead of buying the floating dock, they should have found out the ship yards that are already existing in the country and see how they make them grow bigger. “Right now, a lot of Nigerian ship owners are still leaving this country to go outside to look for docking facilities. In an ideal world, the money that was used to build that floating dock is a bad investment. It was not well thought through. Where is NIMASA going to operate it from? “Where are the trained skill personnel that will operate it? That money should have been given to ship owners to buy ships and generate revenue and give back to them. Some of us are still waiting to know what NIMASA wants to do with that floating dock. “Granted that this administration did not initiate this process, but if the new administration sees that this thing is already on, there are things it could have done. It could call a meeting of ship yards operators in the country, and ask if they can form a consortium and have a neutral yard to operate the dock or buy it off? Starz Group boss averred that “The whole thing is just interesting and I am waiting to see how it goes,” explaining that “The Cabotage fund is not meant for NIMASA to go and buy floating dock, it is meant to develop the industry, those who are already there and have the expertise”.